Abandoned at eleven with no memory of her family, Alexia seeks her true identity. Under the new government’s regime, sixteen-year-olds are evaluated for their desire to harm others. Throughout the test, Alexia struggles to conceal her psychic ability to read the past and future of anyone she touches. When her secret is revealed, Alexia is taken to an island where other highly skilled agents and readers like her train to survive. A spell-binding adventure of friendship, love, unforeseen twists and learning that our most dangerous enemies are often the people we trust the most. A captivating novel filled with forbidden romance and shocking betrayals that demands the question – Can One Decision Determine Your Destiny? $2.99 on Kindle. 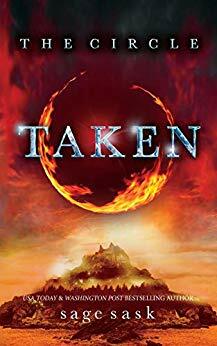 "The Circle: Taken" was first posted on freebookpromotions.com on April 09th, 2019. Each day we feature new free and discounted Kindle books in the Teen & Young Adult genre as well as all other genres.